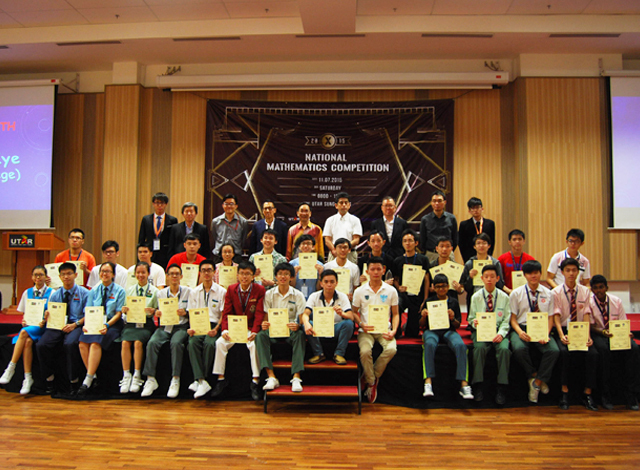 UTAR student Kuek Sze Jiun won second place at the 10th National Mathematics Competition held at Sungai Long Campus on 11 July 2015. Kuek, winning second place for category B, walked home with a certificate and cash prize of RM300. 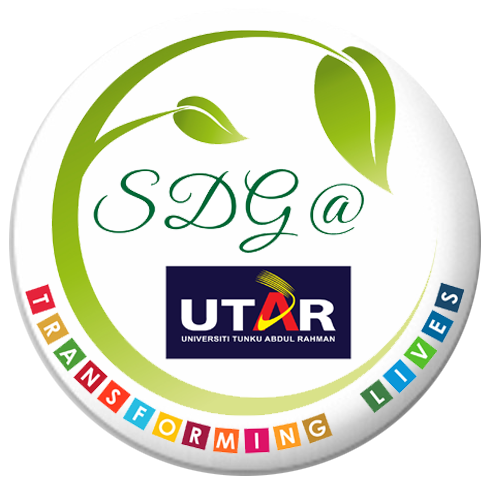 UTAR was the institution with the most participants at 38 individuals. “I feel really great, knowing my continuous effort over the years have paid off”, said Kuek with a smile. “I would also like to thank the organizers for hosting such meaningful event”, he added. “With this competition, we hoped to cultivate interest in math among students, because math is important in our daily lives. 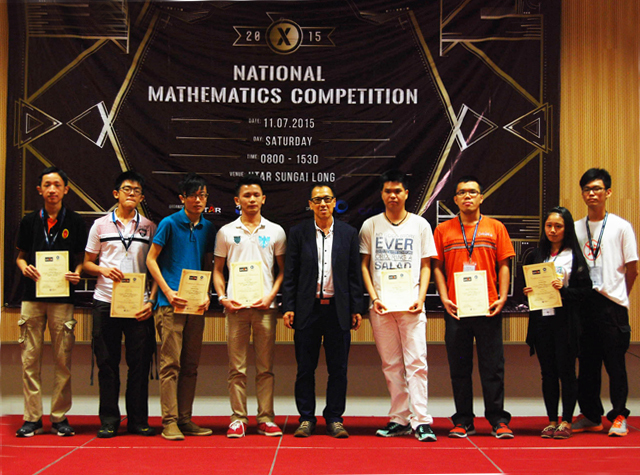 We believe this acted as a networking event among students from various institutions“, said UTAR mathematics society chairperson, Ching June Tao. Category D was introduced this year, with the hope of improving future enrolment rates in mathematics-based courses. This category targets Form four and Form five participants from secondary schools. Special guests of honour include UTAR President Ir Prof Academician Dato' Dr Chuah Hean Teik, Silverlake representative Chu Hong Keong, Casio Malaysia Director Sezai Hiroyuki, UTAR Vice President Assoc Prof Dr Teh Chee Seng, Lee Kong Chian Faculty of Engineering and Science Dean Prof Goi Bok Min, Head of Department of Mathematical and Actuarial Science Dr Chang Yun Fah, and Chairman of Centre for Mathematical Science Dr Yeo Heng Giap Ivan. 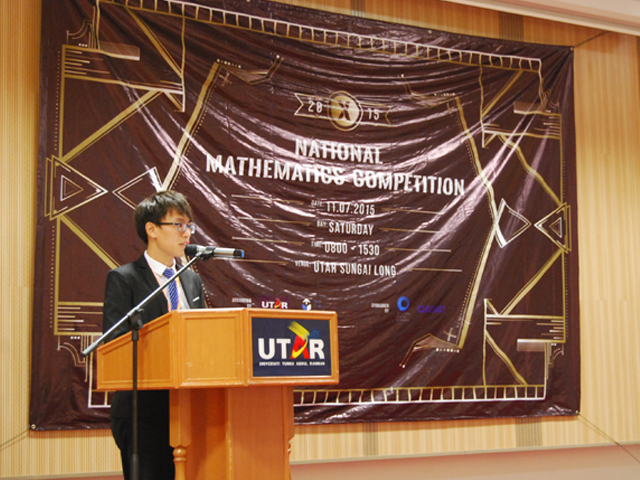 The competition was organized by Universiti Tunku Abdul Rahman (UTAR) Mathematics Society. It is a course-based society that caters for UTAR Mathematics major students.